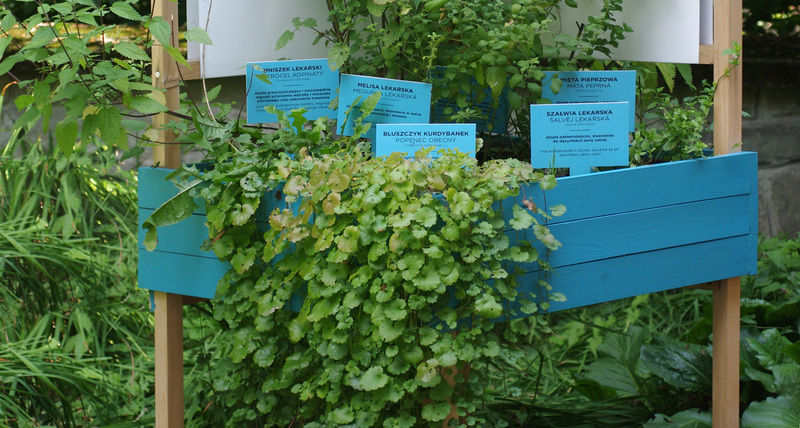 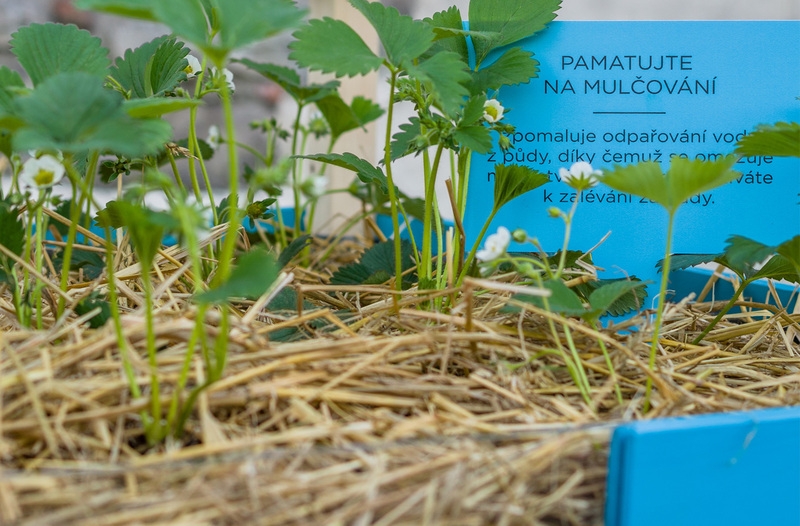 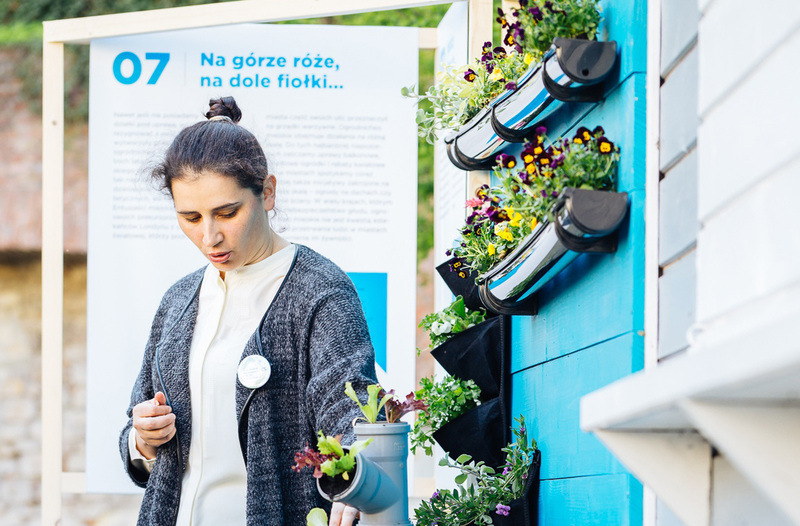 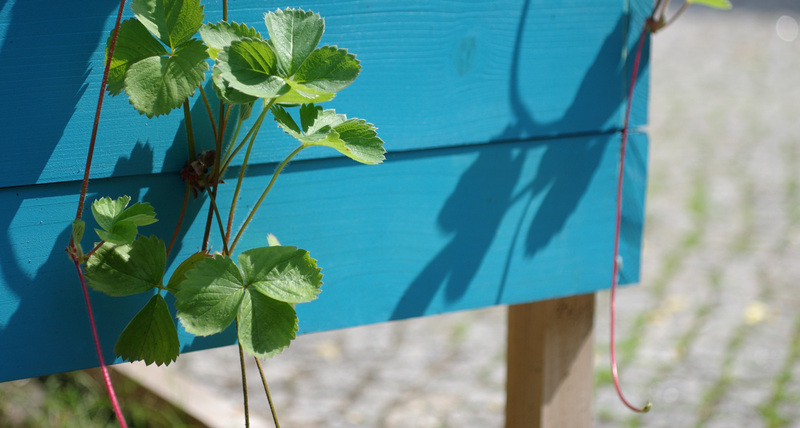 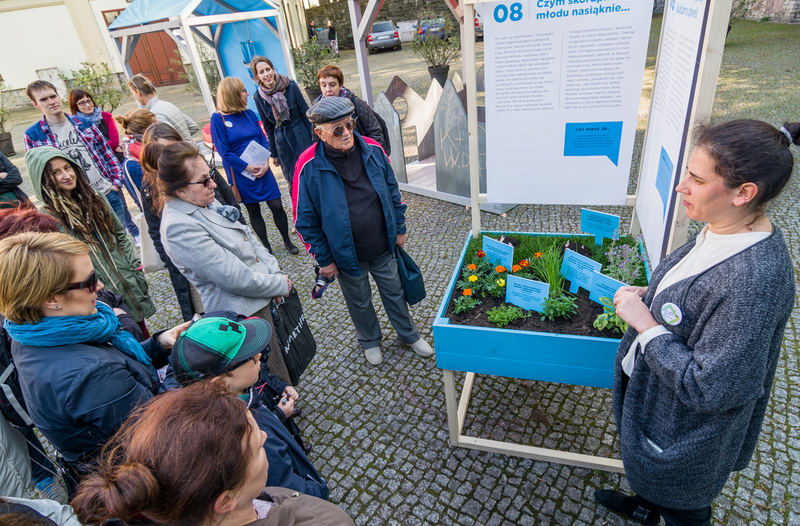 Family gardens is a multigenerational ecological project funded by Visegrad Funds created and realised by Stowarzyszenie Wskazówka, a number of workshops, lectures and meetings aimed to bring ecological awarness to seniors and the elderly. 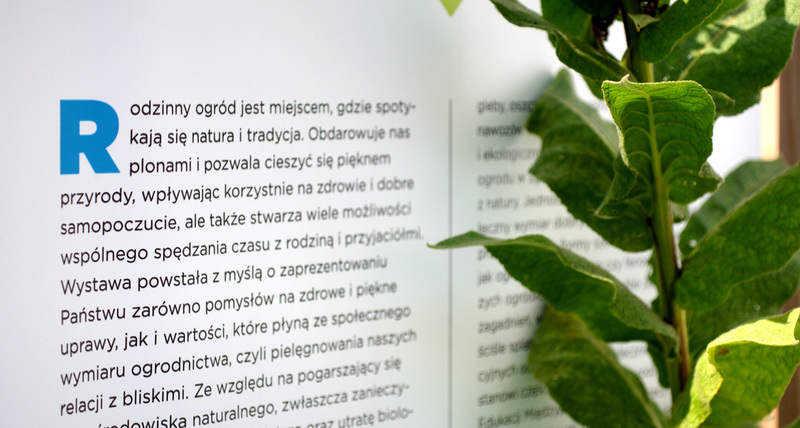 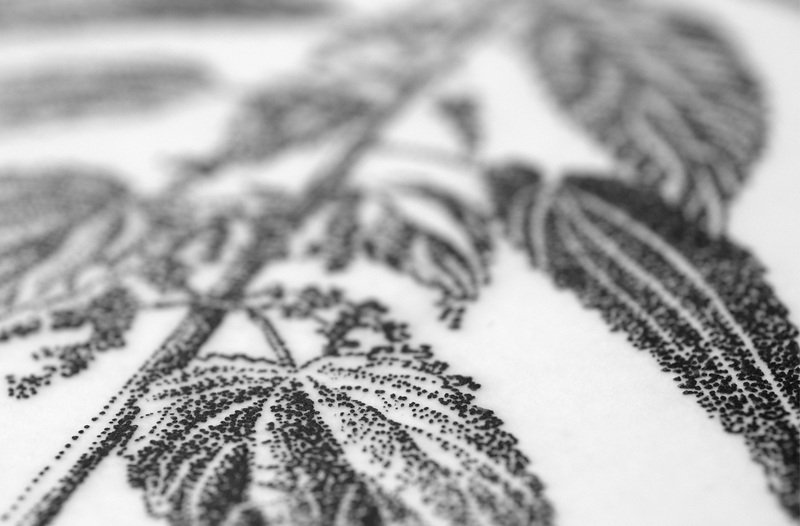 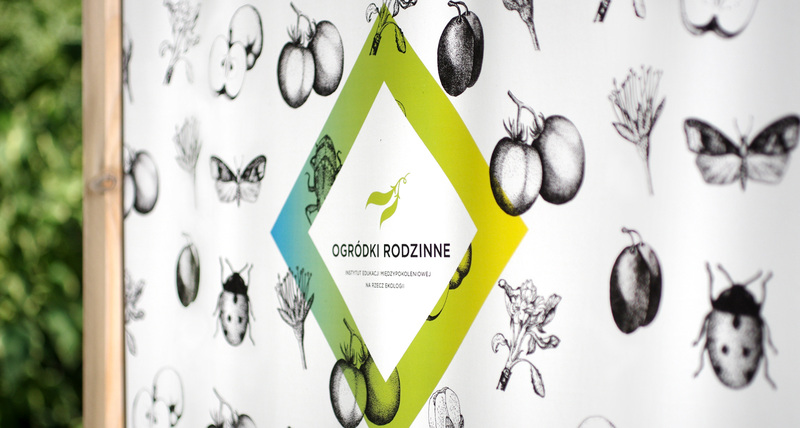 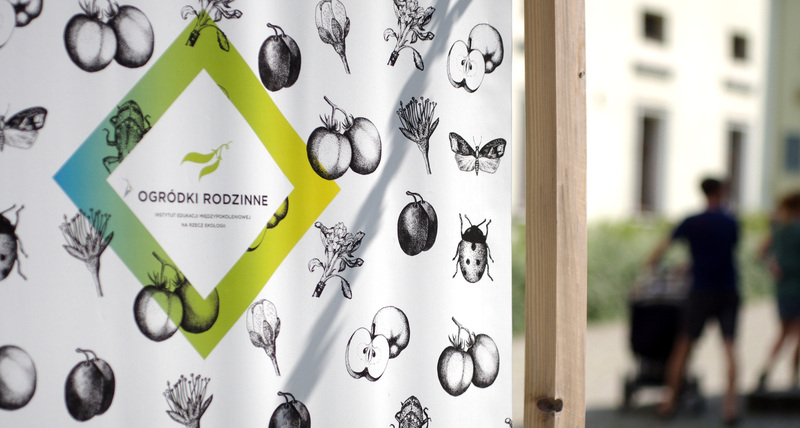 Exhibition about good ecological practices took place in the extraordinary ambience of Castel Hill in Cieszyn. 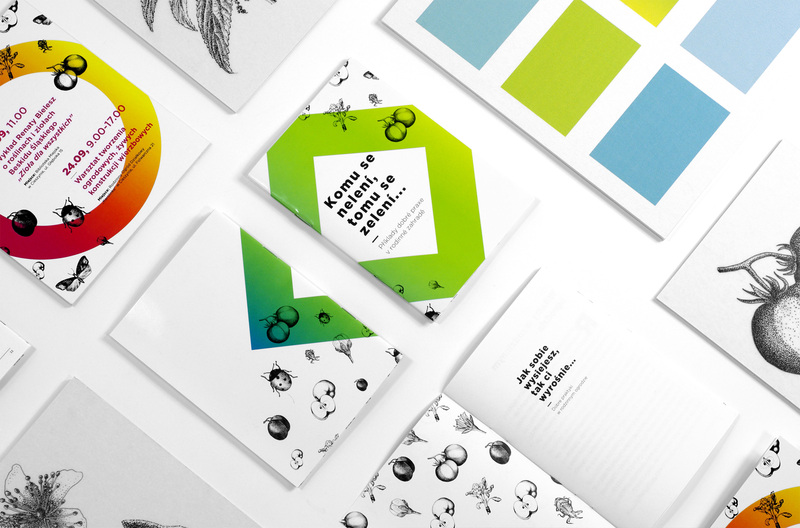 I was asked to create a complete visual identity of the project and I came up with the idea of combining handwritten illustrations remaining those in old biology books with geometrical forms in garish colours. 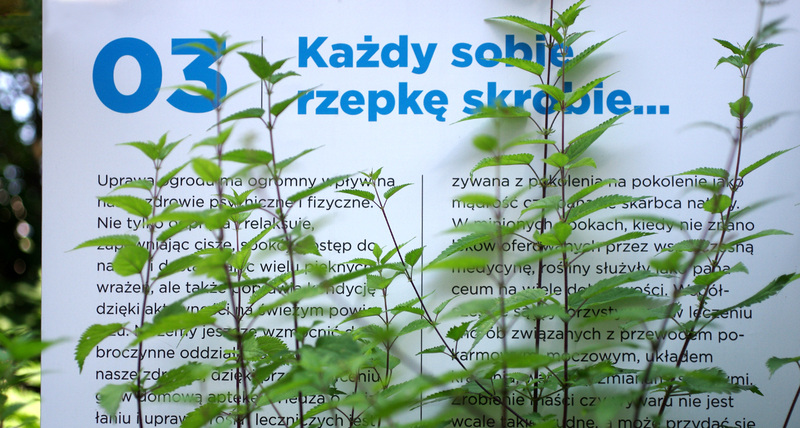 I wanted to represent integration of members of different generations. 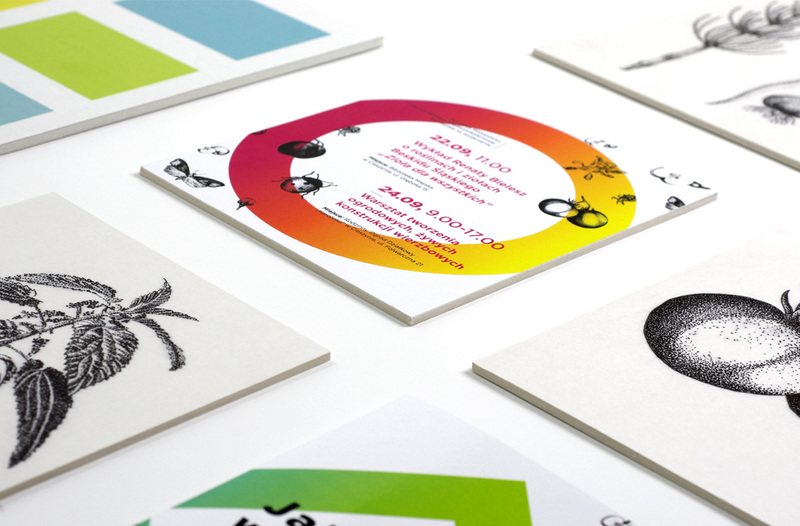 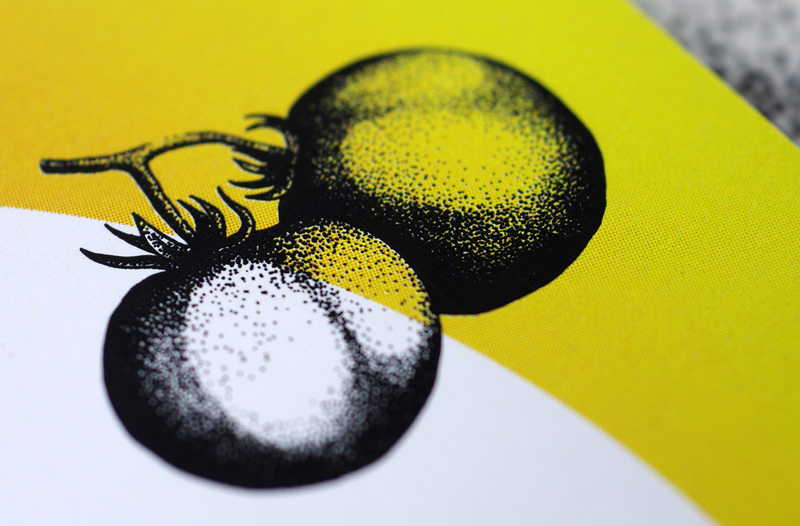 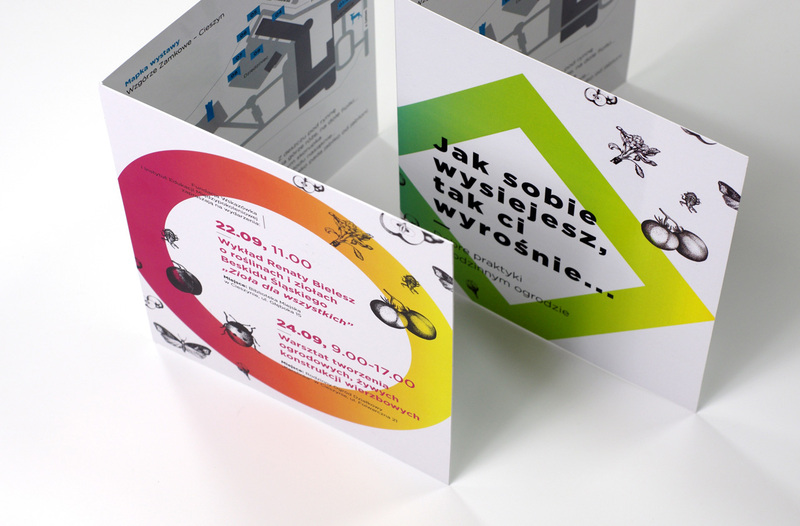 Those motives were repeated throughout each designed element - logotype, posters, educational and promotional materials and all parts of the exhibition.